Rev. 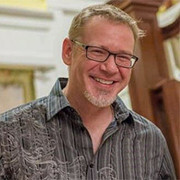 Nathan Meckley is a gifted preacher and teacher, a professionally trained musician, and a long-term MCC ministry leader. Raised in rural Western Pennsylvania and reared faithfully in the Presbyterian tradition, Nathan has been active in MCC ministry since 1983. An ordained MCC clergyperson since 2003, he has served diverse congregations in California and Florida. He received preaching awards for exciting and challenging sermons, served as adjunct faculty at the Pacific School of Religion (Berkeley, CA), and taught courses, workshops and seminars in numerous settings. A pastor with a holistic vision for spiritual community, Nathan has significant church management and development experience, gifts for worship excellence, enthusiasm for multi-generational ministry, commitment to social justice, and a passion to equip all people to use their gifts in ministry. Prior to receiving his Master of Divinity degree from Claremont School of Theology (Claremont, CA) in 2003, Nathan studied as a classical singer, receiving both a Bachelor of Music degree (Westminster Choir College, Princeton, NJ) and a Master of Music degree (University of Southern California, Los Angeles, CA). He also serves as a volunteer member of the Board of of Directors of Bridging Voices, Portland’s GSA youth chorus.